Always Open - 24/7 | Pacific Customs Brokers Inc.
Increasingly the world we live in; operates on a 24 hour, 7 day per week basis. To accommodate the needs for our many global clients, shippers and the carriers who move the goods, Pacific Customs Brokers operates with Certified Customs Brokers at all hours, every day of the year. 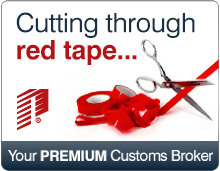 While many of our competitors close their doors for weekends, holidays and overnights, Pacific Customs Brokers is willing and ready to work with your business to assist with your goods of entry ~ 24 hours, 7 days a week.